Doctor Who: The Ninth Doctor Meets UNIT? | Warped Factor - Words in the Key of Geek. 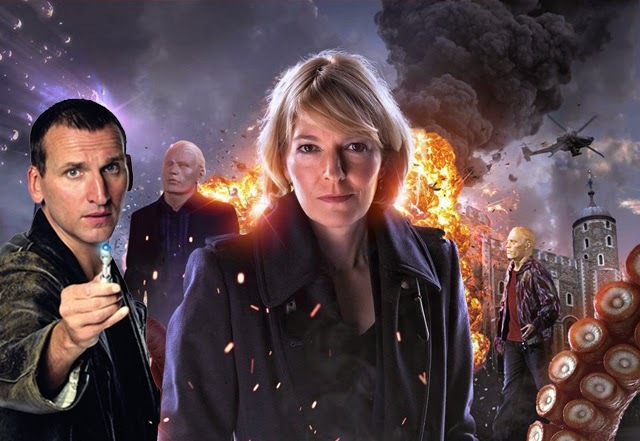 Doctor Who: The Ninth Doctor Meets UNIT? 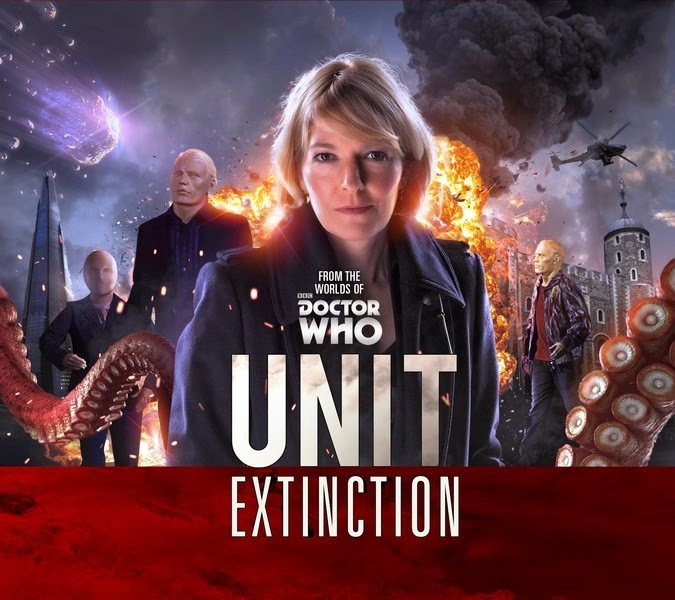 Kate Stewart and her UNIT team are soon to return for Series Nine of Doctor Who, but the potentially more exciting prospect is that they will also be receiving their own standalone Big Finish adventure, titled UNIT: Extinction. A big deal for both Big Finish and fans of new-Who, as it sees the company feature an exclusively new-Who character for the first time. UNIT: Extinction will see them attempting to fend off the Nestene Consciousness/Autons, just as the early UNIT under the leadership of her dear old pa the Brig had with the help of the Third Doctor. LIZ: There must be an explanation, a natural one. BRIGADIER: I hope so. We didn't find one last time. Of course many years have passed since then, and UNIT has worked with the Tenth, Eleventh & Twelfth Doctors. But cast your mind back and you may notice something of a gap. And in considering that we can easily form a bridgehead between Extinction & the Ninth Doctor's first meeting with Henrik's shop-girl Rose Tyler. Of course then he was renewing acquaintance with the Autons once more! It won't have escaped your notice that back in 2005 the Doctor rather suddenly appeared to save the day with a hastily-rigged bomb. Perhaps he had it about his person as a result of a post-regenerative revisit to his old colleagues UNIT, the former greatest soldier of the Time War putting aside his survivors guilt to aid them, and in the process finding his newest companion. DOCTOR: I'm the Doctor, by the way. What's your name? DOCTOR: Nice to meet you, Rose. Run for your life! A nice idea in practise. But could it happen, given Christopher Eccleston's famed resistance to returning to the role he left at the conclusion of The Parting Of The Ways? A massive selling point from his point of view could be that he wouldn't be working with the BBC Wales crew- disagreements with some of their top brass were said to have been a motivating factor in his decision to exit stage left after his one series. Though it is admittedly a long shot, the Ninth Doctor has in fact appeared in a previous audio, Night Of The Whisper serving as his entry in the 50th anniversary Destiny Of The Doctor series, though he was voiced by Nicholas Briggs! DOCTOR: Am I addressing the Consciousness? Thank you. If I might observe, you infiltrated this civilisation by means of warp shunt technology. So, may I suggest, with the greatest respect, that you shunt off? Oh, don't give me that. It's an invasion, plain and simple. Don't talk about constitutional rights. I am talking! This planet is just starting. These stupid little people have only just learnt how to walk, but they're capable of so much more. I'm asking you on their behalf. Please, just go. DOCTOR: That was just insurance. I wasn't going to use it. I was not attacking you. I'm here to help. I'm not your enemy. I swear, I'm not. What do you mean? No. Oh, no. Honestly, no. Yes, that's my ship. That's not true. I should know, I was there. I fought in the war. It wasn't my fault. I couldn't save your world! I couldn't save any of them! DOCTOR: It's the TARDIS! The Nestene's identified its superior technology. It's terrified. It's going to the final phase. It's starting the invasion! Get out, Rose! Just leg it now! Just like old times, in a sense. TECHNICIAN: Duty Officer, please. Urgent. TECHNICIAN: I've got something on here, ma'am. Something strange. OFFICER: Are you sure it's not just interference? Something to do with the heat wave? TECHNICIAN: No, ma'am. There's something on there. OFFICER: Scan closer. Still very high. TECHNICIAN: Coming down fast though, ma'am, and heading this way. OFFICER: They must be meteorites. TECHNICIAN: But they're flying in formation. "We don't have any announcements to make on who will be joining Kate Stewart's team at the moment, but the finished product will be as much a part of the Doctor Who universe as the other spin-off series Big Finish has produced." With ten years having passed since his departure, surely it's perfect timing to announce the possible acquisition of a licence to produce New-Who audio stories by featuring the Gallifreyan, by way of Manchester, in the leather jacket who kicked it all off again in the first place?